We work closely with clients to evaluate their potential claims or defenses related to the commercial, professional, and personal disputes. 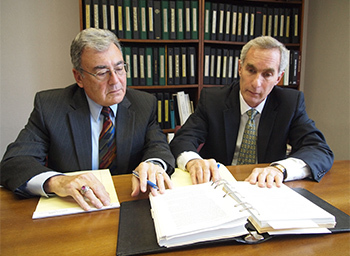 We represent clients before administrative agencies, alternative dispute resolution proceedings such as mediation or arbitration, jury or court trials in state courts. We help clients prepare their cases and counsel them on steps and procedures involved. We can also help clients leverage their negotiating position to reach a beneficial settlement. A negotiated settlement is often the most expedient and cost effective way to resolve many disputes.